Beginning February 1, Children’s Miracle Network Hospitals icon balloons begin landing in IHOP locations across the United States and Canada. Through March 7 (National Pancake Day) 1,288 U.S., Canadian and Puerto Rican IHOPs will be collecting donations for Children’s Miracle Network Hospitals. Guests visiting IHOP locations supporting CMN Hospitals can purchase a paper “Miracle Balloon” to publicly pledge support. Select IHOP restaurants will also be offering a discount coupon that can be used on a future visit with the purchase of a Miracle Balloon wall icon. 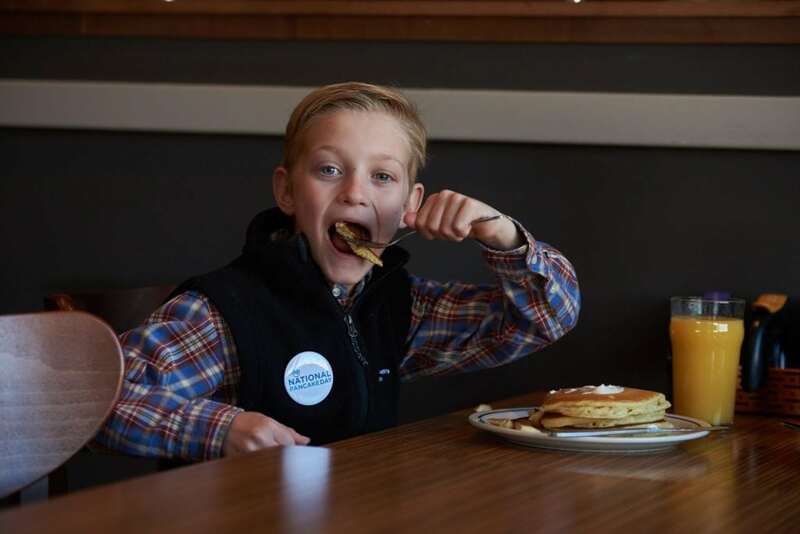 All the money raised by IHOP for Children’s Miracle Network Hospitals stays local and goes directly to providing life-saving medical treatment for children in need—like Carson and Logan. Carson was born at just under 26 weeks, weighing only 1 pound, 12 ounces. At six days old, he suffered a brain bleed that affected both sides of his brain. Thirteen months later he was diagnosed with cerebral palsy. Despite the challenges he’s faced since birth, Carson is always positive and is driven to try harder each day and doesn’t let anything slow him down. At 18 months old, Logan suffered a stroke causing him to lose his speech. He regained his speech but returned to his children’s hospital six years later with a bloody nose and rash on his arms and legs. Doctors diagnosed him with a low level of platelets. At 14, he was housebound when his platelets dropped to zero and his body was covered in bruises. He was diagnosed with Evans syndrome, a disorder where his immune system attacks his red and white blood cells. After a blood transfusion and stay in the pediatric intensive care unit, he now visits the hospital for regular checkups. Donations to Children’s Hospital Colorado where Carson and Logan are treated support the hospital’s rehabilitation department where Carson undergoes occupational and physical therapies. They also helped purchase the equipment needed to perform Logan’s blood transfusions. 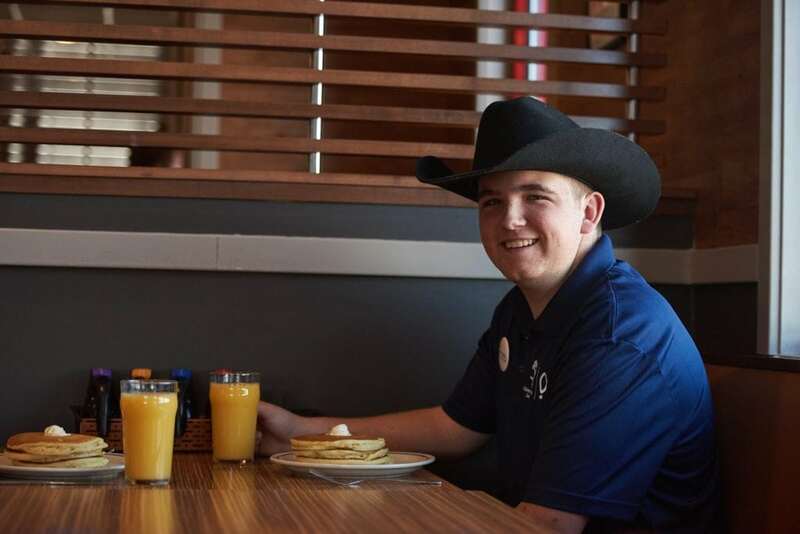 To date, IHOP and its customers have donated $18.9 million to local Children’s Miracle Network Hospitals and hopes to raise $3.5 million in 2017.